A regular visitor in the Fall to our garden – the Woolly Caterpillar! I noticed these two over a week ago. The next day I spied another woolly caterpillar, but this one was ambling along on our driveway, and since I was headed for town, I didn’t want to endanger this little one. Hello, Friends in this Enjoyable Blogosphere! 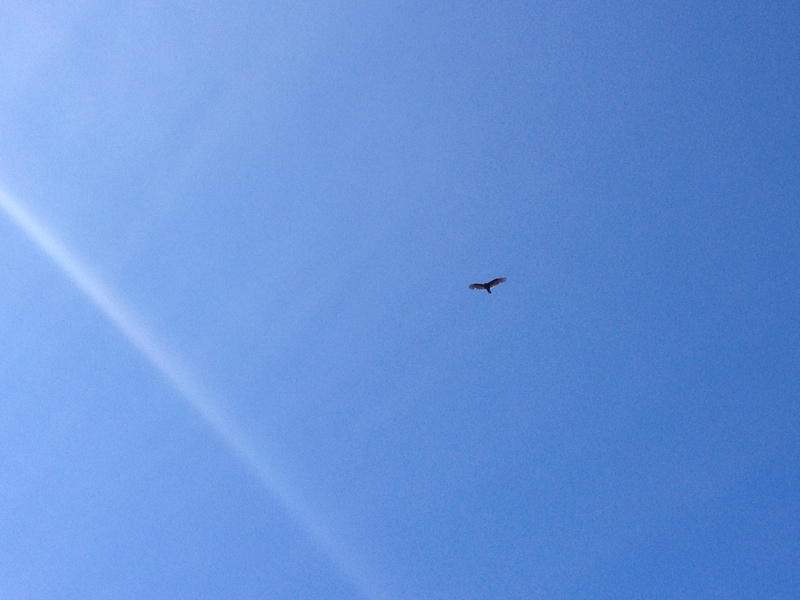 Guess what unforeseen and exciting encounter I had on my walk today…. Well, yeah, I DID get to see a few new things along the way. 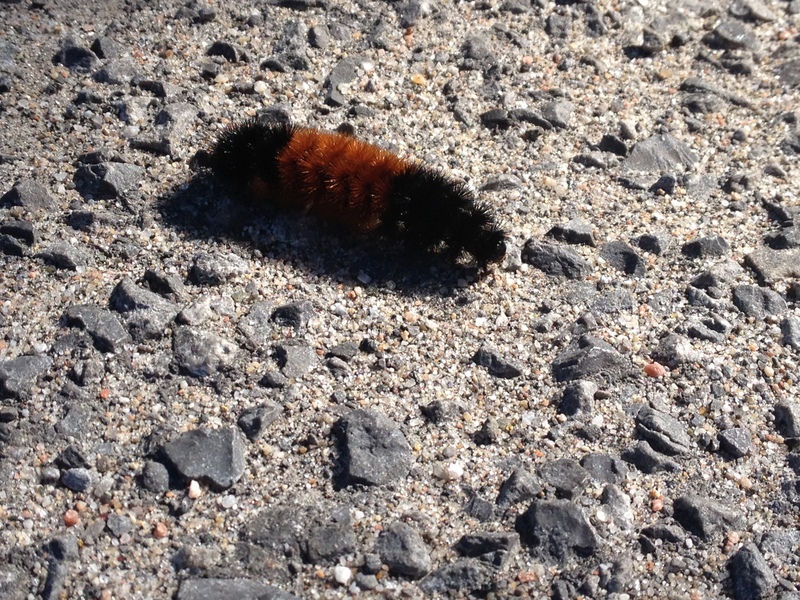 Like, for example, my first Woolly Bear Caterpillar of the season – uh huh….a future Pyrrharctia isabella! Yep, the Isabella Tiger Moth. Who knew that a woolly bear turns into a tiger?? Haha! And yes, another monarch flitted in front of me…..geez! Still not fast enough to get a pic! Beautiful to watch even so. 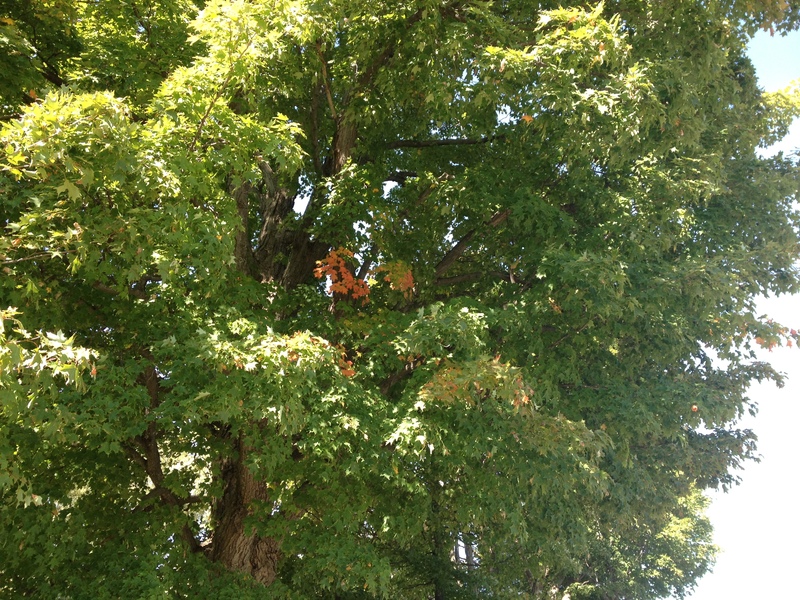 One of the tall maples that I always admire on my walk had a little secret to show me. All surrounded by its still lush green leaves was a tiny “pocket” of already-turned reddish leaves – like its own little heart of autumn or its own little red “heart” of leaves. Isn’t that cool? HOWEVER, the absolute highlight for me was meeting up with someone new! You just never know what a new day will bring! Soooo exciting! She passed me the first time, as I was walking towards the turnaround point, and we briefly said “hi” and “what a beautiful day!” And my iPhone camera was being slow, so I only got a photo of her backside. Darn, I thought at first. Oh well, but at least I got something to remember the unusual contraption she was riding. Well, but wasn’t the Universe having some fun with me, when I later on spied the same cyclist coming towards me on my return leg of the route!! Haha! Second chance here; not wasting it! Got my iPhone ready for some more pics. And then we ended up having an initial brief chat…..and then she pulled over for a lengthier one! I was some tickled!! Oooooeeee! What a cool way to meet someone, and we fell into conversation easy peasy, like that, and had some laughs already. Yes, yes, you guessed it. We ultimately exchanged phone numbers and will be getting together for a really long visit! Gotta love life and its wonderful gifts! P.S. 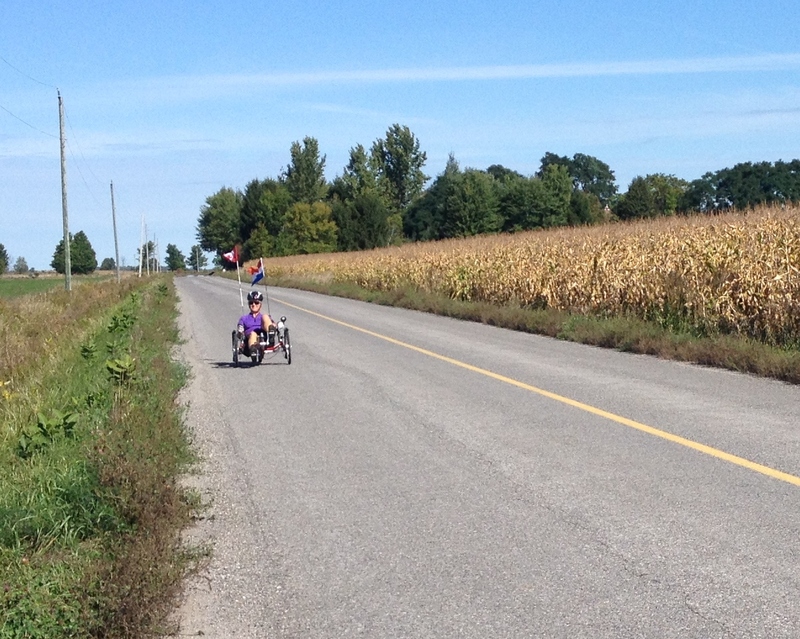 Later on I googled a bit to find some more info on recumbent trikes, because that’s what she was riding. Just the coolest thing!